Do Life. Do Kung Fu. The China of Today and the China of yesteryear are very different animals. As a young teenager, Sifu Craig was basically a Sinophile – intensely interested in all things Chinese. He wrote to the local Chinese consulate (at this time there is no consulate representing China in Atlanta), expressing his interest. They were so pleased, as it was a very rare thing at the time and so he was invited to various dinners, sent all sorts of books and whatnot. That would not be the case today. Today, China is the world’s second largest economy and even invests more each year in renewable power than any other country on earth. It is no longer the ancient mystical wonderland of East Asia that it once was. Find yourself curious about the China of Today? Well then – this list is for you! It’s in no way exhaustive or complete. But it’s a heck of a start. We’ve got News & Current Affairs, the Chinese Tech Industry, comedy and more. Regardless your taste, these podcasts have the potential to entertain and/or educate, So give it a go! If you know of a Podcast you think would be a nice addition to this listing, look for the form on the page to Add to the Podcast Listings! A selection of podcasts dealing with News & Current Affairs in China Today. Some are outright News programs, some are roundtable discussions of global policy with China, some might be groups of academics tackling tough issues… Some are boring, some are interesting. But all are informative. The Little Red Podcast: interviews and chat celebrating China beyond the Beijing beltway. Hosted by Graeme Smith, China studies academic at the Australian National University’s Department of Pacific Affairs and Louisa Lim, former China correspondent for the BBC and NPR, now with the Centre for Advancing Journalism at Melbourne University. We are the 2018 winners of podcast of the year in the News & Current Affairs category of the Australian Podcast Awards. Follow us @limlouisa and @GraemeKSmith, and find show notes on our Facebook page. The Beijing Hour is an hour live news and current affairs program with Chinese as well as international news from around the world. It broadcasts 7am Beijing Time every day. The flagship news show features major news of the day, with top news on the hour, biz reports, sports and entertainment, and the weather. Sixth Tone is an English-language media outlet bringing you news, features, and commentary from today’s China. I try to choose the best news articles on China and discuss them with some comparison to events in Europe / USA. China 21 is produced by the 21st Century China Center at UC San Diego’s School of Global Policy and Strategy. We are a leading university-based think tank that produces scholarly research and informs policy discussions on China and U.S.-China relations. This podcast features expert voices, insights and stories about China’s economy, politics, society, and the implications for international affairs. The ChinaPower Podcast dissects critical issues underpinning China’s emergence as a global power. Hosted by Bonnie S. Glaser director of the CSIS China Power Project. Timely discussions regarding Chinese politics, economics, law, and society with faculty, visitors, and guest speakers at the University of Pennsylvania’s Center for the Study of Contemporary China. Hosted by CSCC Research Scholar Neysun Mahboubi. This Podcast is no longer Live. However there is still a collection of great content to be enjoyed. China’s relationship with Central Asia and the Middle East is increasingly important in Beijing’s foreign policy. Listen in on conversations with scholars, journalists, and other experts about this trending topic. The Fairbank Center is a world-leading center on China at Harvard University. Listen to interviews and events from the Center here on our podcast. From the team that brought you the satirical TV news show China Uncensored comes a…well…less scripted look at China. Chris Chappell and his team are off the teleprompter and on the mic to interview China experts, or discuss the issues of the day. And frankly, anything else they feel like discussing. China Tech Talk is a weekly podcast about what is happening on the ground in China’s technology and startup ecosystems. TechBuzz China by Pandaily is a weekly technology podcast that is all about China’s innovations. It is co-hosted by Ying-Ying Lu and Rui Ma, who are both seasoned China-watchers with years of experience working in the technology space in China. They share and discuss the most important tech news from China every week, and include commentary from investors, industry experts, and entrepreneurs. The Tech in Shanghai podcast is a new show which tells the story of what’s happening on the ground in the Shanghai / China technology and start-up scene, through the eyes of the people making it all happen. We keep it casual, letting the various founders, CEO’s and MD’s tell their version of what it’s like to to be involved in the scene of one of the most dynamic and fast growing markets in the world. We hope you’ll join us as we follow this amazing story and speak to some fantastic and inspiring people along the way! A selection of podcasts dealing with Business in China Today. Doing business in China or with the Chinese. How to market to the Chinese audience. Breweries and Bottling industries in China and more. If you’re business-minded, there’s something in here for you. The China Startup Pulse is a podcast designed to give startup enthusiasts from around the world a behind the scenes and on-the-ground understanding of what’s happening in China’s startup ecosystem every week. Run By Chinaccelerator and SOSV, hosted by Ryan Shuken, William Bao Bean and Oscar Ramos, and founded by Ryan Shuken & Todd Embley – hackers and hustlers on the ground and at the epicenter of it all in Shanghai, China. CEIBS provides China knowledge within a global context. Our CEIBS Knowledge podcast features the latest research & insights from our faculty. Headquartered at its largest campus in Shanghai, the China Europe International Business School (CEIBS) is mainland China’s leading business school, with three programmes globally ranked by the Financial Times. A weekly round-up of top business and financial news from China’s leading financial magazine, Caixin, produced and hosted by the Sinica Podcast’s Kaiser Kuo, featuring full stories from Caixin and conversations with Caixin writers and editors. China Business Cast is a podcast featuring experienced entrepreneurs and business people making things happen in China. If you want to learn from on the ground accounts of how business actually gets done in China, this is the program for you. “In China with Michelle Zou” features interviews of thought leaders and executives combined with experts in a range of industries. We reveal their thoughts and personal stories about the various opportunities manifesting with China’s economic development and social changes. From our guest Chinese and foreigners who have lived in China, you will learn valuable information about today’s China and how it relates to you. China has risen to become the second largest economy in the world. China’s incredible opportunities are attracting people from all over the world, no matter if you are a business leader, a manufacturer, a trader, a professional, an artist, or a student. What does China look like today? What opportunities does this huge market has for you? How can you seize those opportunities? This show will help you find your own answers. You will discover opportunities that you can tap into in China and understand how you can ride with the tide to grow your career or business. In this weekly podcast I pull back the curtain on influencer marketing in China, speaking directly with top influencers, marketers, and brands who share their experiences and reveal their strategies for success. On this podcast you will learn about: Weibo, WeChat, live-streaming, current trends, the growing popularity of short videos, how to go viral in China, influencers’ experiences working with brands, how to work with influencers, the cost of influencer marketing, influencers and e-commerce, how to develop die-hard fans, top social platforms in China, the differences between influencer marketing in China vs. the West, how to find the right influencers for your campaign, the future of influencer marketing, and much, much more! Bottled in China brings you into Asia’s food and drink scene through conversations with the some of the most happening personalities. Hosted by Emilie Steckenborn, the show is your one spot for all things food, beer, wine and spirits from across the world. Brewing in China is brought to you by Joe Finkenbinder, the founder of Bionic Brew. Joe started his brewery in Shenzhen in 2014 as the sole brewer, distributor, and bartender and has since grown the brewery into a business employing people from around China and the world. He and the brew crew discuss news, industry challenges, and topics with a rotating guest list of brewers, brewery owners, beer folks, and all types of interesting and knowledgeable people who are passionate about beer in China and around the world. A selection of podcasts dealing with Daily Life in China Today. Cultural and societal issues, the dating scene, personal stories and much more. These podcasts are about Daily Life in China – usually from the expatriate’s or foreigner’s point of view. Whatever your take, these are definitely a delectable delight. What does it mean to be foreign in a globalized world? Join us, a diverse team of curious-minded expats, as we delve into the fast-paced world of Shanghai, and explore what it means to be a Laowai (or “foreigner”) in China in this bi-weekly podcast. Through stories from expats, Chinese locals, and everyone in between, we look at the laowai experience from every angle. Three women living in China celebrate culture differences through discussions, interviews and laughter. Whether you’re just curious about life in China or seriously considering spending some time or setting up a business in the largest economy on earth, Hollie and Nora are here to answer all of your questions about living, working and playing in China. Hollie is from the UK, has been in China since 2011 and is currently working as the Social Media Director of a tech company in Shenzhen. Nora is from the US and has been living in China since 2009. Nora is the co-founder of Written Chinese. Discover how to negotiate with Chinese business people, what it really takes to learn Mandarin, how Chinese people let their hair down and any other questions you might wonder about what’s it really like to live in China today. Hollie and Nora are not afraid to get their hands dirty and get into the good, the bad and the ugly about what it’s like to be a foreign girl in the fastest growing city in China- on the opposite side of the globe from home! No, it’s not a typo.Three women living in China celebrate cultural differences through discussions, interviews, and laughter. This Podcast is no longer Live. However, there is still a collection of great content to be enjoyed. At Limitless, we believe that choosing China as an expatriate assignment offers unlimited opportunity and adventure – and proper preparation is the key to success! Through real-life interviews with China’s leading expats, we support you and your loved ones through the entire process from relocation to repatriation, and every step in between. Glean wisdom and pick up fantastic tips and tricks from other people like you. Stay motivated, be empowered and get connected to some pretty amazing folks by tuning in. Welcome to the Limitless Community. We explore Beijing-related themes in order to learn more about the world. Shining humor, love, and light on Chinese life. For those living, working or traveling in China or interested in learning about Chinese culture, expat life, and foreigners perceptions. Live, work, travel, do business and have fun! Join our international team for an inside look into Chinese life as foreigners living, working, crying and laughing in China with family, children, and friends. A light-hearted insight into all things good and bad with a little bit of extra wit added on top. With regular special guests from across China and creative educational games thrown in for fun, this podcast is a must for those interested in learning more about the middle kingdom or just wanting a good giggle. China Jedi is not a political movement or nationalistic front to spread the religion of the Jedi. It is for normal people, talking about normal things, answering normal questions to feel and be less normal. Tune in, turn on and may the smile be with you! A weekly podcast about making it big as a foreign fish in the world’s biggest pond – China! Every week from Beijing, host Brendan Davis talks with a fellow foreigner who is doing something challenging, unique or maybe even just a little bit crazy. Guests ranging from venture capitalists to standup comedians share funny stories, useful insights, and occasionally, cautionary tales about their lives in China. The podcast aims to be invaluable for anyone considering making a similar move, plus entertaining and relatable enough to be fun for everyone to enjoy and learn from. One man’s adventures in a far-off land. Party Parslow fulfills his lifelong dream to be an English teacher…and promptly regrets it. Told in episodic form, his epic journey to China and the hilarity that ensued. Live from Shanghai, comedian Andy Curtain pins down the most interesting person he can find and asks them what they’re doing in China. Produced by Kung Fu Komedy in cooperation with That’s Shanghai. Have you ever wondered what happened if you replied to one of those adds for a foreign teacher in China? Well I did and after being dropped in the middle of nowhere, I survived to tell the tale. About daily life in China. Originally set up as an A-Z guide for anyone moving to China, but we have evolved into a network for anyone who wants to do a podcast about their lives in China. Two Women. One Country. Modern China from the Inside. Short and informative insights from a Westerner whom now calls China his beloved home. Come back often, listen, and learn what really takes place in China and how to succeed in the Chinese Culture. A place where expats and future expats get together to share expat experiences. Expats from different backgrounds and located in different parts of the world talk about and prove that we all have a lot more in common than we think. Chengdu Living is a blog about life in the Sichuan Capital, authored by expat residents since 2010. We analyze and discuss facets of the lifestyle and culture we encounter in China. Miles, an educator, philosopher, musician, and world traveler, shares his experiences of living a rational and happy life in China and Asia. “It’s About China” is Zhuhai’s latest entertainment and cultural talk show with hosts Pete and Andy who discuss the good, the bad, the strange, and the funny of being foreigners living and working in China. They will make you laugh and you might even improve your English listening and speaking. Life in China Today. Funny, informative and interesting. 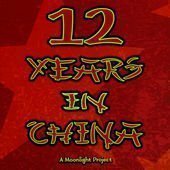 12 Years in China is an interview series based on the life and times of one Jake Linnel. Jake lived in China until June of 2016. Upon returning to the USA, his old friend, Nate Maughan, essentially beat him into submission and forced him and his family to stay in Utah to endeavor this podcast and several other opportunities surrounding Jake’s 12-plus year excursion in the communist country. Jake lived, loved, learned, and even started a family in China. The this series will explore his time and experience there while Nate shares his parallel experience stateside. The two old friends maintain witty banter, disperse opinionated and expletive-filled vernacular, and they have a great time doing it. It is recommended that one starts the series at the beginning for context, but each episode is as entertaining as it’s cohorts, and one could enter this maze of Mandarin madness on any episode. Welcome to my podcast, I will try to make you laugh every day! 🙂 Stay tuned! A selection of podcasts dealing with Entertainment in China Today. Comedy. Music. Movies. Gaming. Literature. You’ll find quite a few informative, yet tasty entertainment podcast treats herein. Indie and retro game discussion from Chengdu, China! (that’s the capital of Sichuan Province). Love reading yet lost in plenty of literary podcasts out there? Look no further! The weekly program Ink & Quill is the hotchpotch you are looking for. Produced by bibliophiles from CRI English, the podcast connects you with literature, culture and writers in China and around the globe. A fun ride into the literary world, Ink & Quill blends news, book reviews, Q & As, panel discussions and feature stories, giving the listeners insight into writers’ visions. “In the Spotlight” is a weekly cultural show produced by the Studio Plus team from China Radio International, bringing you the latest in art, culture and showbiz in China. Some DJs and a record label from Guangzhou, in Guangdong province, China. The Sound Stage is a music show produced in Beijing, China introducing original underground and independent Chinese music to the outside world. This podcast gives listeners a fresh and intimate perspective into the lives of a new generation of musicians as they wrestle for control of their future in a rapidly modernizing China. Oh, and the music’s fantastic! So listen up, because China is getting LOUD! China Calling – all about the independent and alternative music scene of China. Interviews, music, reviews, and people who are doing something different, changing the view on China’s music and taking over the world…join us together, on the discovery of a new sound, refreshing bands and China’s alternative voice! SAD China publishes one classic Mandopop song every day for your listening pleasure. From Richie Jen to Jay Chou to Wakin Chau to A-Mei and more, we’ve got your Mandarin pop listening needs covered! Subscribe for the latest episodes of all podcasts from China’s #1 Standup Comedy Club. Produced in Shanghai. A Dungeons & Dragons podcast by Kung Fu Komedy. Schedule a Free Trial Class Today! Know of a Podcast that should be included or have an update we missed? Let us know!